This is my own version of Salsa Verde. 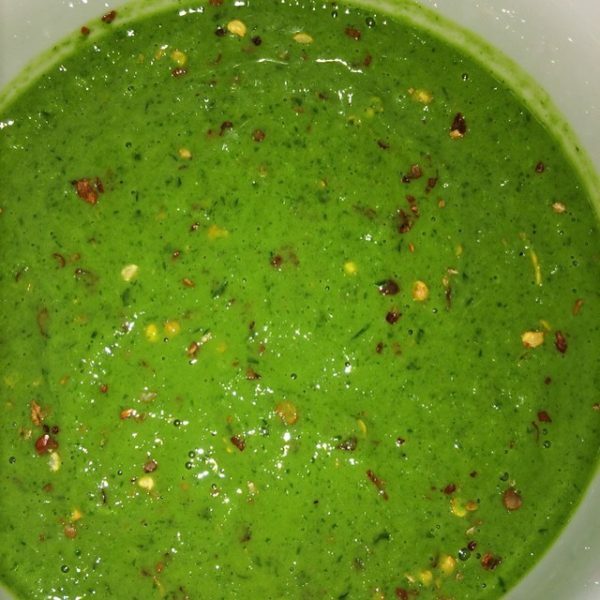 I added fresh herbs, took out the anchovies and what I got was a delicious, fresh and bright green mixture that goes great on anything! This is one of those recipes I’m continuously finding new ways to use. I’ve had it as a dip for veggies, a sauce to top any cooked fish or meat (especially lamb) and mixed with an aioli for sandwiches. I will also turn it into a quick salad dressing by mixing 1TBS. of the salsa verde with a little extra olive oil and vinegar. Spectacular! The uses for this one are endless. Enjoy it any way you want, let me know how you like it! This will be in my fridge most of the summer. ¼ cup regular olive oil +the zest of 1 lemon. 1. In a food processor, combine parsley, mint, pine nuts, garlic, capers, white vinegar and salt. 2. Put lid on and turn it on slow speed. Drizzle olive oil in while the processor is running until salsa verde is the consistency you would like. You might need to add a little more olive oil if you want the salsa to be runny. 3. When done, stir in crushed red pepper and store in the fridge in an airtight container. I make this ahead for the week and the oil and vinegar keep this sauce green and beautiful. In a food processor, combine parsley, mint, pine nuts, garlic, capers, white vinegar and salt. Put lid on and turn it on slow speed. 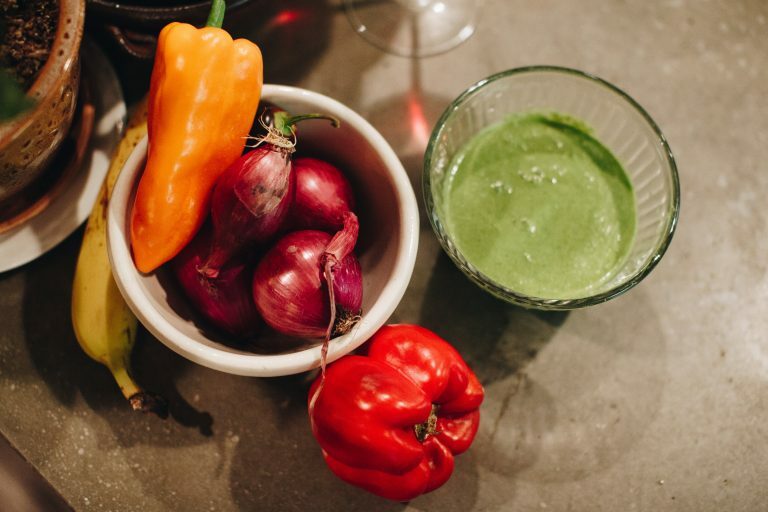 Drizzle olive oil in while the processor is running until salsa verde is the consistency you would like. You might need to add a little more olive oil if you want the salsa to be runny. When done, stir in crushed red pepper and store in the fridge in an airtight container.